Students of March 2015. 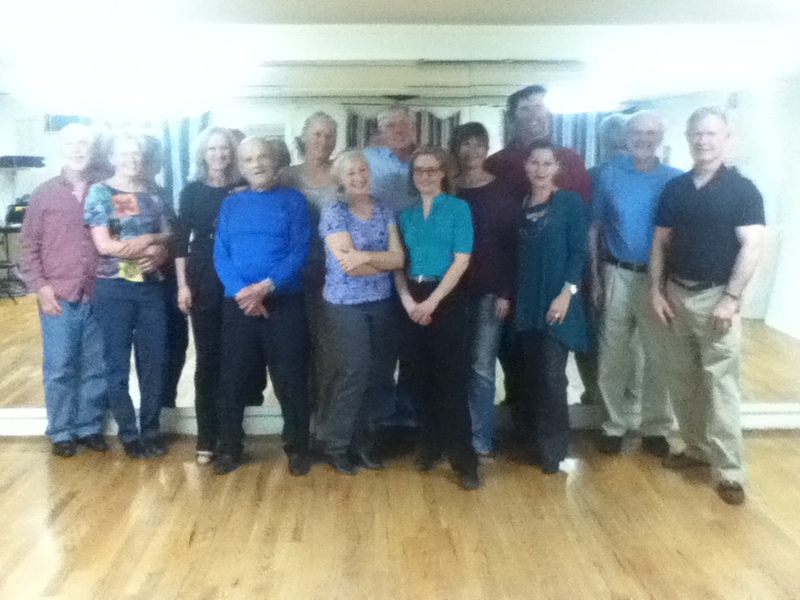 Great Class! Line of dance and Navigating the social dance floor while doing some fancy Ochos. Welcome to Argentine Tango Classes with John Roy and Marina Baden! If you can make only one or two classes in a month, then buy a 5-pack, 5 classes for $40, and use classes out of the 5-pack to pay for a Monday night classes. One class only, $10. Description: Focus each month on a different aspect of tango. MUST have an understanding and ability with basic tango moves (molinetes, ochos forward and backward, all four crosses, etc.). Description: Mixed music Milongas. Casual, fun, snacks provided. Themes for most milongas. Sponsored by All Tango Albuquerque (ATA), http://www.alltangoabq.club. Where: Check the ATA website. How Much: $5 per person.